I am proud to say that I am a life-long resident of the California Central Coast. Born and raised in the Salinas Valley I know how fortunate I am to call this area my home. I left the area for a short time to attend college in San Luis Obispo, CA and then transferred to University of Nevada- Reno. The most important lesson I learned in college was that I wanted to return home and raise a family here. I can’t imagine life anywhere else! I was lucky enough to fall in love with and marry a South County boy in 1993. Since then, Steve and I have raised three wonderful children. We’ve been fortunate enough to build our dream home in the heart of Lockwood. And happily for me, I have been able to maintain a career in real estate that I am passionate about. Lockwood is the ultimate picture of “small town America”. It’s located in the heart of San Antonio Valley, a finger off the Salinas Valley, which nestles up to San Antonio Lake and is only a few miles from Lake Nacimiento. It is only natural for me to have migrated toward a real estate career in this area because of my love for the region and community. 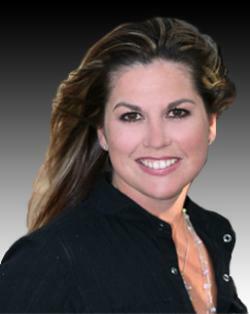 I specialize in real estate in South Monterey County, San Antonio Valley and “the lakes”. Since beginning my career in real estate in 2004 I have had the pleasure of working with a variety of buyers and sellers in an ever-changing market. My career started in real estate at the launch of an incredible peak followed by a sharp decline which eliminated many agents in the industry. I credit my staying power in a poor market to my loyal clients who have continued to rely on me and recommend me to others. I have the highest admiration for the broker and team of Oak Shores Realty. I am truly blessed to be working with such a wonderful office in the location that I love and consider home!